Sylvester Stallone Confirms Rambo 5: Last Blood Title? 4 months ago, an auspicious rumor began to float around the Internet that Rambo 5 was going to be titled Rambo: Last Blood. Suddenly very active on Twitter after a short absence, Sylvester Stallone has now seemingly confirmed that title, while also confirming that this long-awaited sequel will be next on his to-do list. 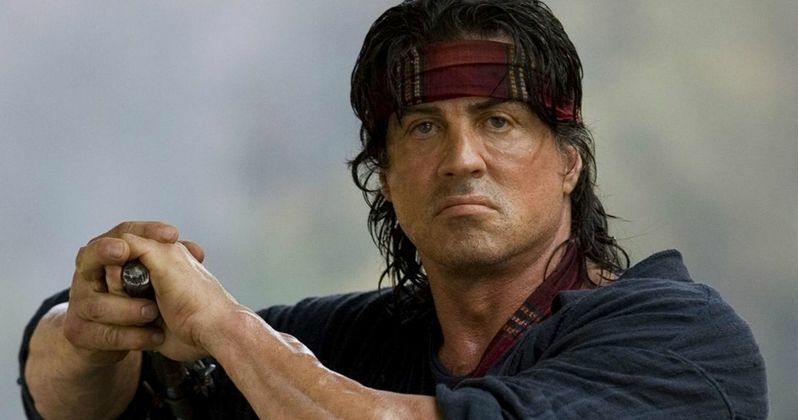 Shortly after The Expendables 3 tanked in America this past summer (don't worry, it made up its profits overseas), Sylvester Stallone claimed to be returning to the world of Vietnam Vet John Rambo in what has been described as the character's last adventure. Sylvester Stallone plans on directing the movie himself. But it seems he'll be reprising his most iconic role as Rocky Balboa beforehand, in the spinoff Creed. As you may remember, Sylvester Stallone had previously stated that 2006's Rocky Balboa (aka Rocky 6) would be that character's last run. That proved to be very far from the truth, as Rocky may continue to appear in the Creed series, if it becomes a franchise. Though, SPOILER ALERT, it has been revealed that Rocky has cancer in an earlier Tweet from the action icon. It doesn't look like Rocky dies in Creed, but we can expect that he won't make it all the way through Creed 2.